Porsche's first-ever truck (heck, it's even their first four-door vehicle) shares platforms and certain systems with the Volkswagen Touareg, and is about as sporty an SUV as they come. 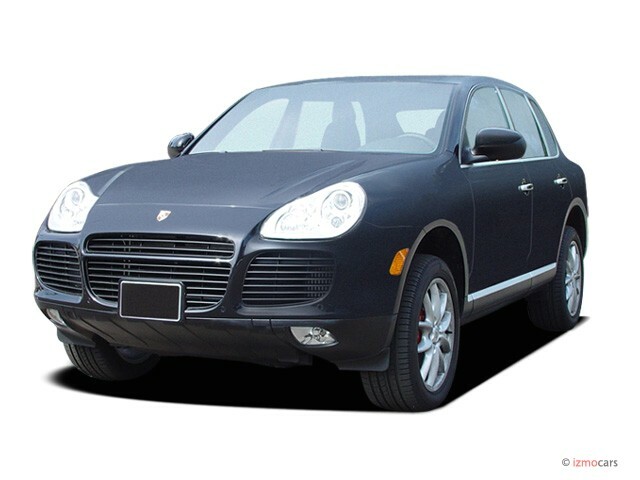 The base Cayenne S includes a 340-horsepower, 4.5-liter V-8, while a 247-horsepower 3.2-liter V-6 was added to the model mix during 2004. For the current model year, the six-cylinder model will be available with a six-speed-manual transmission. For those who are able to indulge themselves for the sake of speed, the top Turbo version comes fitted with a Porsche-designed twin-turbocharged V-8 that generates a stout 450 horsepower, though this version is priced beyond reason. 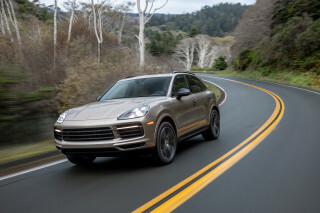 Porsche's Drive-Off Assistant system, newly available on manual-transmission versions, helps the driver start off on steep grades without having to finesse the gas and clutch pedals. Also new for 2005 is power-closing rear tailgate. Permanent four-wheel drive with an inter-axle differential lock and additional low-range gearing come standard, as does Porsche's Stability Management System. It's not just a V-6, Porsche cautions.